I was diagnosed with Stage 2 Pancreatic Cancer earlier this week. My question before I edited this post was "How do you cope?" Other people have shared their stories about Cancer. Shared stories about loved ones, about dying and have helped me out. Please respect each other's point of view. I sincerely thank all of you that have posted and have read for you are truly helping me through this situation. I am VERY sorry to hear about this. I know there is not much I can do on this end of the keyboard for you, but I will keep you in my thoughts and wishes. Hang in there and enjoy life as MUCH as you possibly can! My uncle is going through something very similar too and it is sad to watch him. I'm very sorry . I'm the only member in my family that hasn't had a battle with cancer. It drains a lot out of you. Sadly, I only dealt with Lung and colon cancer with my family. Eat really healthful. Drink plenty of water and drinks with anti-toxins in them. Keep a Mediterranean diet (fish, chicken,fruits, vegetables - rarely any red meat) along with exercise and you should be able to give the cancer a good fight. If you take chemo , which good luck on if you do , exercise with moderation. But don't stop eating a healthful diet. Also, are you religious? Not forcing religion on you, since I'm not that religious myself. However, my professor is a Doctor and taught at Yale. He stated that with the cancer patients he dealt with, the more religious they were the longer they lived and the more likely they survived. It's really not a set in stone thing, but I'm sure faith really helps in situation like these. You are going to go through a journey with a battle. I wish you the best of luck and never give up hope, even when it doesn't look good. Last edited by Zigana; 02-09-2011 at 05:32 PM. I am sorry to hear this. I sadly don't know much about that type of cancer.. my grandfather had cancer in his bones and my mother had breast cancer. Sadly, that's a very bad cancer to have. The prognosis usually is pretty bleak. 6months to a year depending on how early they caught it. Patients diagnosed with pancreatic cancer typically have a poor prognosis, partly because the cancer usually causes no symptoms early on, leading to locally advanced or metastatic disease at time of diagnosis. Median survival from diagnosis is around 3 to 6 months; 5-year survival is less than 5%. With 37,170 cases diagnosed in the United States in 2007, and 33,700 deaths, pancreatic cancer has one of the highest fatality rates of all cancers, and is the fourth-highest cancer killer in the United States among both men and women. Although it accounts for only 2.5% of new cases, pancreatic cancer is responsible for 6% of cancer deaths each year. Pancreatic cancer may occasionally result in diabetes. Insulin production is hampered, and it has been suggested the cancer can also prompt the onset of diabetes and vice versa. f*ck cancer. Best of luck. I was diagnosed with this type of Cancer earlier this week. I've talked to the experts and searched the web for all the information I could..
but I was curious as to if anyone else here has this or any type of cancer and without revealing too much about your situation can you tell me how you coped? Well, it happens to the best of us. My sister was recently diagnosed with Stage 3 breast cancer but she beat it and is now undergoing chemo and radiation. Unfortunately there is a reasonably high chance of recurrence but we're obviously hoping for the best. In terms of coping - I've been into philosophy for about seven years so that actually helped tremendously. I didn't get mad at the universe or fall apart. In fact, since my sister was about to undergo chemo I shaved her head into a badass mohawk and she wore it to a business meeting. But my sister is a total warrior. Not everyone is like that. I'd strongly urge you to reflect on life and come to terms with the prospect of death. I know that sounds morbid but when you can accept death you can embrace life a lot more instead of always waiting to die. Don't be afraid of the process that lies ahead of you and fight the cancer head on without backing down. If it wins, you tried, and hopefully there's something better for you ahead. But if you win, then you've got a life you're going to enjoy a lot more afterwards so you've got a lot to look forward to. Last edited by Homebrew; 02-09-2011 at 05:46 PM. Sorry to hear and I wish you the best of luck... coping won't be easy, you probably feel like your world has been turned upside down, but remember, if your lifespan has been shortened, it's best to make the best of every day and not live them out in sadness. Let your passions out and do everything you possibly can that you wanted to do in life. i am sorry to hear this... all i can say is you are going to be in the fight of your lilfe and you will be in all of our thoughts. Keep strong. i`m sorry to here that. just battle it. my nani had overian cancer and was told she had 2 months to live......she fought for 5 years.....just stay strong.. Sorry to hear about your diagnosis, you will be in my thoughts and prayers. 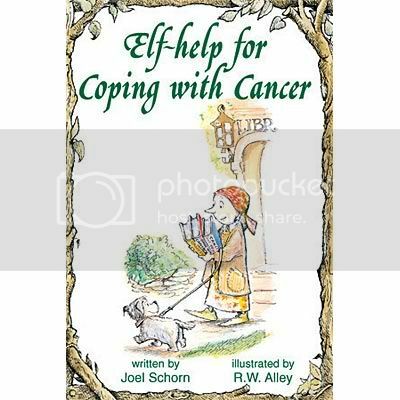 As to coping, while I have not personally gone through what you are going through, but I have personally known one person who battled valiantly against cancer. One thing that helped her keep going was, as silly as it may seem, the TV show Monk. No matter how bad things were, no matter how bleak the prognosis was, she always had something to look forward to every week, a new episode. Shortly after Monk seized syndication she passed away. There is no doubt in my mind that on multiple occasions that TV show was what got her through the chemo sessions, what got her up and moving around in the morning, and put her to sleep in the evening. Her original prognosis was 6 months, she lived for another 8 years, long enough to send her oldest son off to college, and celebrate her youngest's sweet 16. I wish you the best of luck with the journey you are about to embark on. Once again, you are in my prayers. Thank you all. Very much. You have my sincere thanks. I guess I will take it day by day. not much I can do but keep hope. Also do you have a good support system IRL? Do you have people that will be there helping you through all of this? It's very important to have a support net of family/friends. Keep that chin up and push forward keep pushing and dont stop! Last edited by I Fear Kittens; 02-09-2011 at 07:19 PM. That's a good question. My sister is a warrior but she has a huge network of friends, family, and a guy that stood by her through all of this so far. That's huge. Without that, I don't think she would have charged like such a ****ing champion into battle.